Following a report in November that the Saudi government retained NSO Group to spy on dissidents, a new lawsuit says the kingdom used iPhone spyware to intercept communications with the slain journalist Jamal Khashoggi. The New York Times reported Monday that Omar Abdulaziz, a Saudi dissident based in Montreal, has filed the suit in Israel against the NSO Group, the Israeli firm behind the controversial iPhone spyware tool known as Pegasus. In the suit, Abdulaziz says that the regime, with the help with NSO Group, obtained communications between himself and Khashoggi, prior to the journalist's murder on October 2. 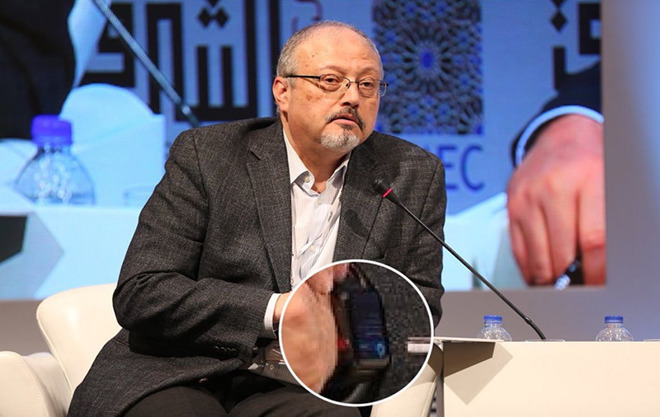 The death, which took place inside the Saudi embassy in Turkey, was reported shortly afterward to have been recorded on Khashoggi's Apple Watch, although those reports have not been fully substantiated. Khashoggi worked for The Washington Post and resided in the United States. A next-generation form of spyware developed in Israel, Pegasus has also in the past been the subject of lawsuits by journalists and dissidents who say governments such as those of Mexico and the United Arab Emirates have used the software to spy on them. Especially notable, according to the Times, is that the Israeli government licenses the Pegasus software to other governments, meaning that a new dimension has been added to the unlikely, de facto alliance between Israel and Saudi Arabia. The software is "licensed for the sole use of providing governments and law enforcement agencies the ability to lawfully fight terrorism and crime," NSO Group told the Times in a statement. Forbes had reported late last month that the Saudis retained the NSO Group to place its Pegasus spyware on the iPhones of several Saudi dissidents, prior to Khashoggi's murder. Cybersecurity writer Thomas Brewster reported that the Pegasus software targeted a group of Saudi regime opponents that included a YouTube comedian, political activists, and a human rights activist reported to be in contact with Khashoggi prior to his death. Governments, including Canada's, were said to investigating the hacks. The Canada-based Abdulaziz was among those who went on the record in the Forbes story. A disgruntled former employee of NSO, earlier this year, was indicted in Israel for attemping to steal the Pegasus source code and sell it on the Dark Web for $50 million in crytocurrency . Also this week, CNN published a cache it obtained of over 400 WhatsApp messages that Khashoggi shared with others, including lawsuit plaintiff Abdulaziz, in the weeks prior to his death. Those are the messages Abdulaziz and others believe were obtained by the regime. In the messages, the journalist is harshly critical of Saudi Crown Prince Mohammed bin Salman, whom he refers to as a "beast," and who he compared to the video game character Pac-man. "The more victims he eats, the more he wants," Khashoggi wrote, in reference to the crown prince, often referred to by his initials MBS. The CIA believes that MBS personally ordered Khashoggi's death. Apple has various tangential ties with the Saudi regime. Both were initial investors in the world's largest private equity fund, the Saudi Vision Fund, while MBS met with Tim Cook and other Apple executives at Apple Park last April. Another Saudi prince, Al-Waleed bin Talal, was a major investor in Apple during the second Steve Jobs era, although he is believed to have sold most of his shares over a decade ago.